Don’t you feel delighted when people would go just out of the way to do something for you. Its a grateful and joyous feeling, ain’t it? Making you feel special. Be it in personal relationships or commercial ones, its always good to know that people care for you and would walk that extra mile to make you smile. A colleague offering to take your work load off so that you can meet a personal commitment, a friend staying awake whole night to help in finishing your project in time (during the good old MBA days 🙂 ) or a complete stranger coming to your rescue while offering change in a bus or cab when the driver isn’t budging. Its always a genuine humane feeling when incidents like these take place and you feel touched. Likewise, it gives the same feeling when you are on the receiving end of such gestures as a customer or a client and your service provider is trying to engage in these goodwill initiatives, popularly known in marketing management as “Customer Delight”. That complementary plate of dessert, one extra scoop of ice-cream, an exciting offer in your regular departmental store offered for being a loyal customer or just some additional discount, things like these kind of make your day and bring on that smile, after a long day’s work. Who doesn’t like surprises and pleasant surprises like these are m ost welcome by anyone. Alas, like marketing we don’t have such terminology for making people delighted in day-to-day lives. You know, something like “Person Delight”!! Anyways, that doesn’t stop us from practicing and even experiencing such incidents. Howsoever, busy we become in our daily lives, I think we must always remember and make it a point to give back such delightful moments to others around us and not just take them for granted. It is indeed a heavenly feeling when you make a quite serious or sad person smile. After all, happiness is a cyclical process and a smile is always contagious!! What’s wrong with being no. 2? Personally, I have never been a fan of the dog-eat-dog concept and do not believe in the “rat race” – a pointless pursuit. During my school days I was divinely content being an average student mostly, and gleefully watched my best friends among the top rung performers. This left me with a lot of free time that I could utilize creatively, cultivating hobbies. Later on, when I did manage to stand among the toppers, I found that the No.1 spot had its share of disadvantages as well. The view from the top is seriously over rated. May be that’s why they say it’s always lonely at the top. Having said that, I am not propagating lackadaisical attitude or idleness. Also, I am not against striving for excellence in any way. For me, its certainly not worth losing your sleep and peace of mind for the No. 1 rank. Besides, your biggest competition will always be your own-self. When you are not the No. 1 you get to focus on other aspects and use your time in more prolific ways than working hard to retain the crown. I remember from my “Positioning” class in “Marketing Management” course during my MBA, an interesting example. 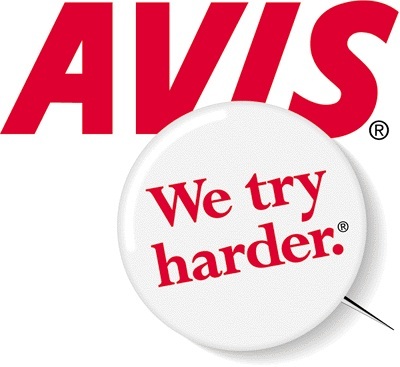 One of the most popular and catchy marketing campaigns in the history is of Avis Car Rental Service. It was the no.2 brand in the service after Hertz. Its tag-line “We Try Harder”, established its challenger – number 2 – brand status behind Hertz. It implied that Hertz was too big to care about its customers. In all its promotions, Avis openly acknowledged that it was the Number 2 brand. And offered customers various reasons why they should choose to deal with the number 2 brand, including coming to Avis because its queues were shorter!! That’s quite an upbeat and distinctive outlook towards the No.2 rank. The No. 1 spot which is quite elusive and addictive can create stress leading to breakdown which ultimately causes dissatisfaction and unhappiness. Did I say “Unhappiness”? But how is that possible because isn’t the No. 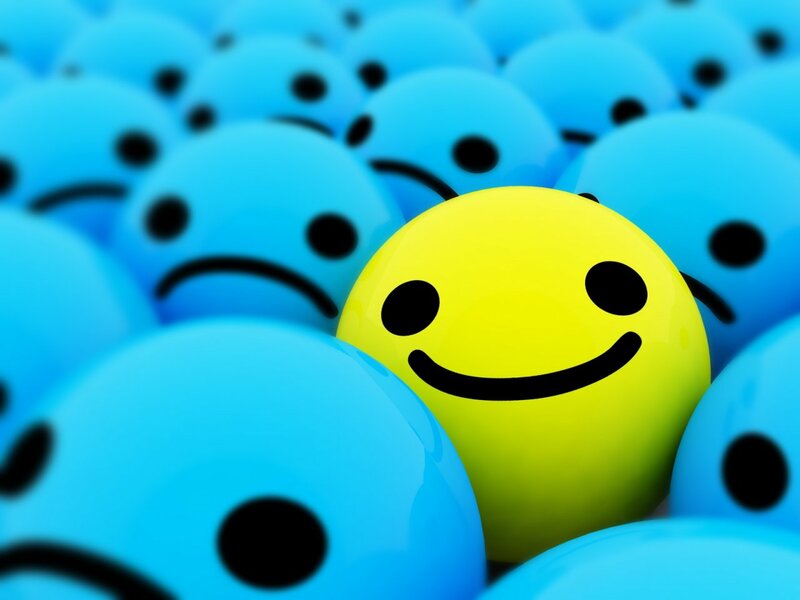 1 spot supposed to make you happy!! Well there you go.. This conjures up the image of the futile efforts of a lab rat trying to escape while running around a maze or in a wheel, ultimately reaching no where and only tiring itself. 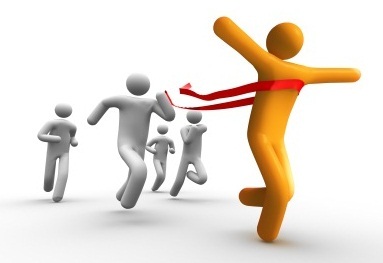 The phenomena we commonly refer to as RAT RACE! Blame it on my spiritual mind, or the sense of self-awareness being more expressive than peer pressure; I have always found myself short of understanding this maddening concept of competition and contest. 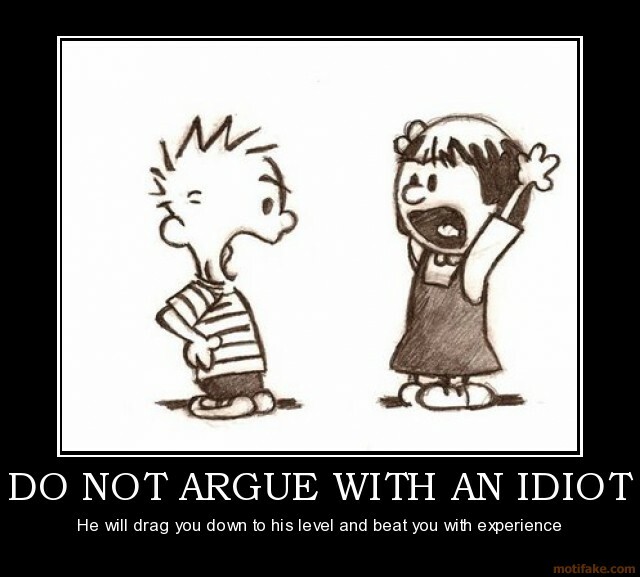 All the time in our daily lives, we come across people arguing with each other. At times, it just makes you wonder why can’t people agree with each other for a change. Whether its your local groceries store, while traveling in a bus, discussion with friends or a boardroom meeting, arguments and debates are happening everywhere. In this modern era of knowledge economies and the information revolution going all around us, everyone has access to facts and as they say everyone is entitled to his/her own opinion. As a consequence, the number of opinions are equal to the number of minds inside a room. But in an argument whenever you say “I am entitled to my opinion”, have you ever tried to give a thought that so is the person at the front. And hence, instead of arguing with one another to prove yourself correct, try giving a lending ear to your opponent. Analyzing your opponent’s thoughts might prove to be quite an educating experience for you as you start viewing the things from other side of the fence. As you put yourself in your opponent’s shoes your empathetic towards your rival and hence, strong negative emotions suddenly start disappearing and you are able think more clearly. Result..a healthy debate or as they term it in management and corporate culture a “Constructive Conflict” ensues. Unfortunately, not many cultures around the world give much of significance to listening. Japanese for one, have a different style of communicating and place a great deal of attention to what is being communicated to them. They are adept listeners and observe minute details, like body language and tone of the speaker, while the conversation happens. While a constructive conflict sounds very much like an ideal case scenario, the practical situation as we had learned way back in our science classes, is quite different from the theory. In real world, there are heated debates, aggressive arguments and lot of negative emotions and live drama is involved. Sadly, none of the solutions discussed in our conflict management classes are utilized in pragmatic situations in life. This is mainly because rarely people have the level of patience and a balanced sense of understanding while they are engrossed in a fiery exchange of words. Clearly, high level of self awareness is an exceptional trait.